When we partnered up with Blue in 2010, the marketing pieces looked nice – but they were inconsistent. If you were to glance at one, then glance at another, it was difficult to tell they were for the same brand. So, we created guidelines for consistency resulting in better recognizability. The refined branding helped contribute to the 24% increase in revenue over the next 12 months. We created a website where Blue was able to interact more with their guests, and guests were able to interact more with Blue. Their monthly traffic went from an average of 5k to 20k. See the website case study. One of the challenges was to make the brand more approachable without alienating the existing crowd. 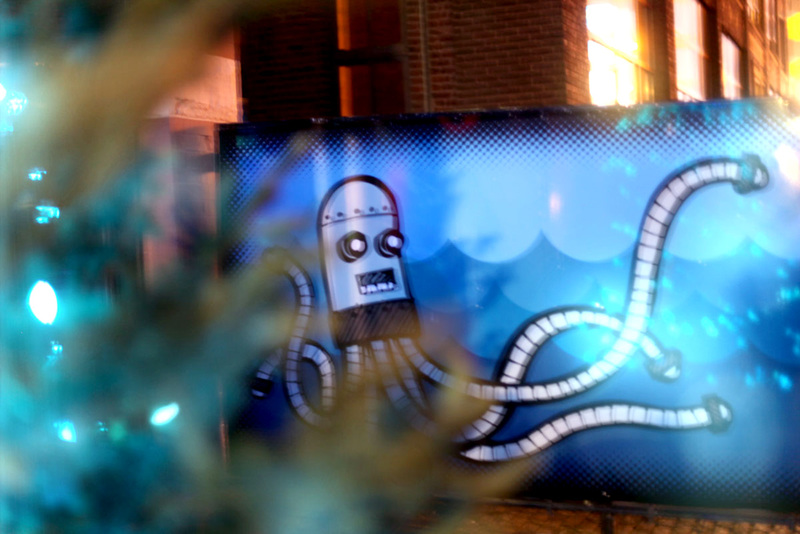 We introduced quirky elements like the Roboctopus to the environments, marketing materials and website. We also introduced handwritten headlines and set the tone for copy to be more conversational and fun. 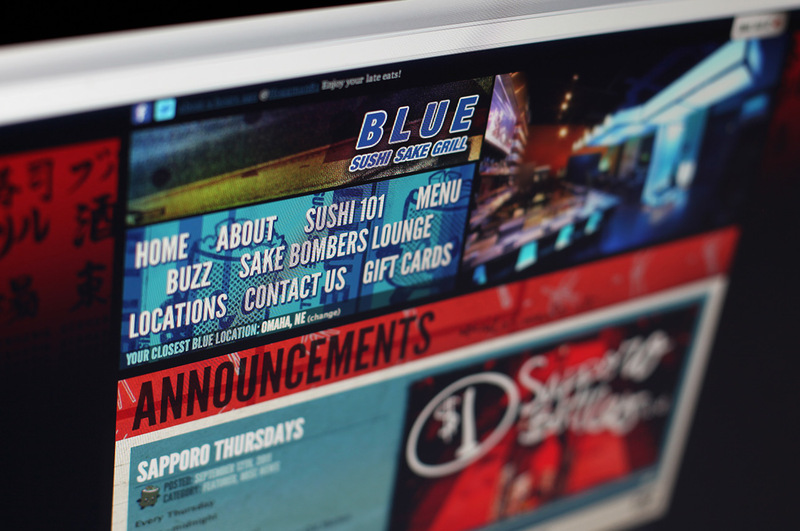 All of the marketing materials are built with guidelines, so no matter the theme, the audience associates it with the last Blue Sushi Sake Grill marketing item they’ve seen.